Dr Ng grew up on a diet of mass consumption and media culture. That experience means he has a hard time trying to choose among watching television, listening to popular music, reading comic books, strolling in shopping malls and doing sociology as his favourite vocation in life. He makes a compromise and decides to specialise in the sociology of mass media and popular culture. Family in Flux: Values, Relations and Strategies in Hong Kong Families: Funded by the Hong Kong Research Grants Council for 2003-2005. In collaboration with researchers from Department of Sociology, HKU. Indicators of Social Development 2004: Funded by the Hong Kong Research Grants Council for 2003-2005. In collaboration with teams of researchers from HKU, CU and HKPU. Hong Kong Creative Industries in the Pearl River Delta, Funded by the Central Policy Unit, Hong Kong SAR Government for 2004-2005, in collaboration with members from the Centre for Cultural Policy Research, HKU. Hong Kong Creativity Index, Funded by the Home Affairs Bureau, HK SAR Government, 2004-2005, in collaboration with members from the Centre for Cultural Policy Research, HKU. Baseline Study on Hong Kong’s Creative Industries, Funded by the Central Policy Unit, Hong Kong SAR Government for 2002-2003, in collaboration with members from the Centre for Cultural Policy Research, HKU. The Making of Hong Kong Man: Building an Oral History Archive: Funded by the Hong Kong Research Grants Council for 1997-1999. In collaboration with Dr. T.W.P. Wong and Dr. T. L. Lui. 2004. Cultural chit-chat 3. Hong Kong: Step Forward. 2003. ‘Baseline study on Hong Kong’s creative industries’. (report for the Central Policy Unit, HKSAR). Hong Kong: Centre for Cultural Policy Research. University of Hong Kong. (Co-authers: Desmond Hui et al). 2003. “‘Employment’ and ‘family'” in Hung S.L. and Fung K.K. (eds) The New Hong Kong Women’s File (2003 edition). Hong Kong: Association for the Advancement of Feminism. Pp. 10-39; 68-99. (in Chinese). 2003. “Education ethos and education reform” in Lau Siu Kai, et al (eds) Indicators of Social Development: Hong Kong 2001. Hong Kong: Hong Kong Institute of Asia-Pacific Studies, the Chinese University of Hong Kong. Pp. 233-253. 2002. Reading Hong Kong Popular Culture, 1970-2000, Hong Kong: Oxford University Press. 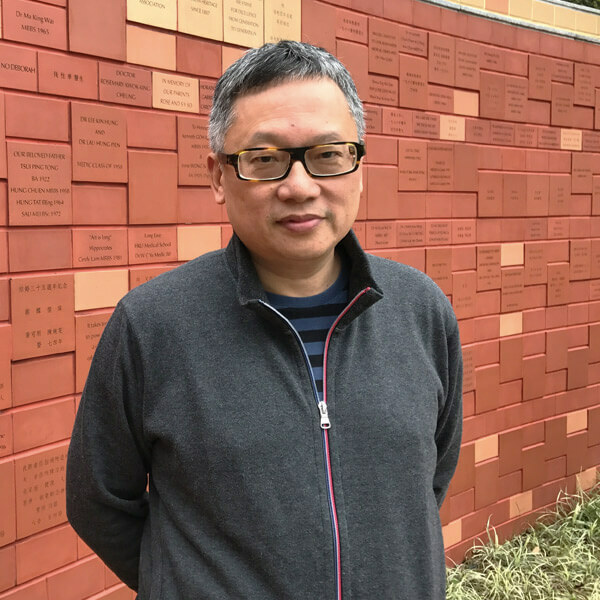 Co-editor Cheung CW. 1999 “The Ethos of the Hong Kong People: Taking stock in 1997”, in Lau Siu Kai, et al. (eds. ), Indicators of Social Development: Hong Kong 1997. Hong Kong: Hong Kong Institute of Asia-Pacific Studies, the Chinese University of Hong Kong. pp.233-253. Co-author: T.W.P. Wong.